Homegrown auto major Tata Motors saw its market share in commercial vehicles (CVs) segment in the domestic market inch closer to 44 per cent in 2017-18 riding on its turnaround strategy, which aims at regaining lost ground to rivals. According to Society of Indian Automobile Manufacturers (SIAM) data, Tata Motors sold a total of 376,456 units of CVs in 2017-18 as against 305,620 units in 2016-17, a growth of 23.17 per cent. The overall industry CV sales in 2017-18 were at 856,453 units in 2017-18 as against 714,082 units in 2016-17. In terms of market share, Tata Motors increased its to 43.95 per cent in FY18 from 42.79 per cent in FY17. 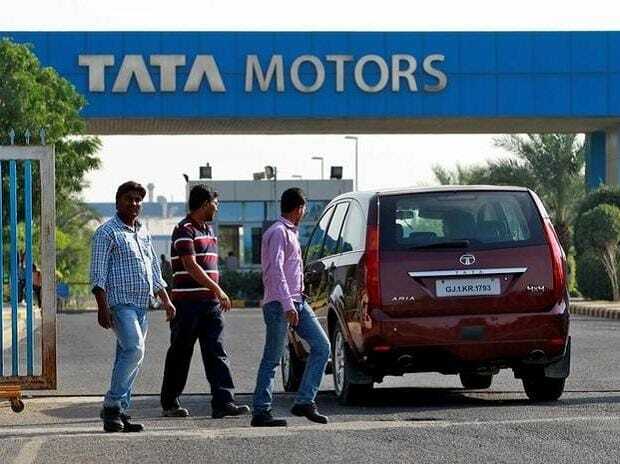 Last August, while addressing shareholders, Tata Motors Chairman N Chandrasekaran expressed concern over the company's falling CV market share from a high of nearly 60 per cent five years back and emphasised on the turnaround plan for its domestic business with a special focus on the ailing commercial vehicles business. "Financial year 2018 has been a landmark year for the CV business of Tata Motors. Reviving the domestic CV business was one of the key focus areas in the company's turnaround strategy. We are delighted that we have gained good momentum and shown growth on the back of strong product portfolio across segments and intense customer engagement," Tata Motors President (Commercial Vehicles Business) Girish Wagh told PTI. The execution of sales enhancement, rigorous cost reduction, and timely product launches delivered quick results on CV volumes, market share grew, and bottom-line improved during the year, he added. "Besides significant ramp-up of production, structural de-bottlenecking of the supply chain and rationalisation of strategic supplier base were also undertaken as major projects," Wagh said. The company's domestic sales of medium and heavy commercial vehicles in FY18 stood at 168,013 units as against 148,901 units in FY17, a growth of 12.83 per cent. In the light CV category, Tata Motors posted a growth of 33 per cent in FY18 at 208,443 units as against 156,719 units in FY17. On the outlook for the new financial year, Wagh said, "With the successful last year, the company is now changing gears to move one level higher with Turnaround 2.0 in FY19. We are confident that these measures will help us achieve our targets while improving our performance and taking customer centricity to the next level."